A thief who stole goods to feed an 18-year-old heroin addiction has been warned she could face a prison sentence if she commits another offence. 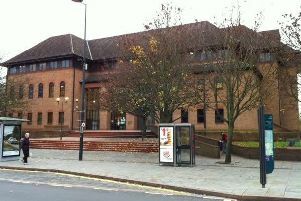 Chesterfield magistrates’ court heard on Thursday, June 4, how Tracey Jordan, 35, of Sheffield Road, Chesterfield, was seen by witnesses wheeling a stolen wheelbarrow with stolen goods on Cobden Road in the town. Jordan pleaded guilty to stealing clothing, a tile cutting machine and the child’s wheelbarrow after the incident in July, last year. The probation service told how Jordan had been spotted with the wheelbarrow and she had been heavily intoxicated and she intended to make a gift of the stolen property to her partner. Jordan also pleaded guilty to failing without reasonable excuse to surrender to custody in February and in May and to possessing criminal property namely the carpet. Magistrates considered Jordan’s previous convictions for thefts and dishonesty and stated that they had to take into account that she had been stealing to fund a drug habit. They opted to sentence Jordan to 17 weeks of custody suspended for 18 months with a drug rehabilitation requirement. She was also ordered to pay £85 costs and an £80 victim surcharge. Magistrates also warned Jordan that if she commits another offence in the next 18 months she will be brought back to court and will face custody.